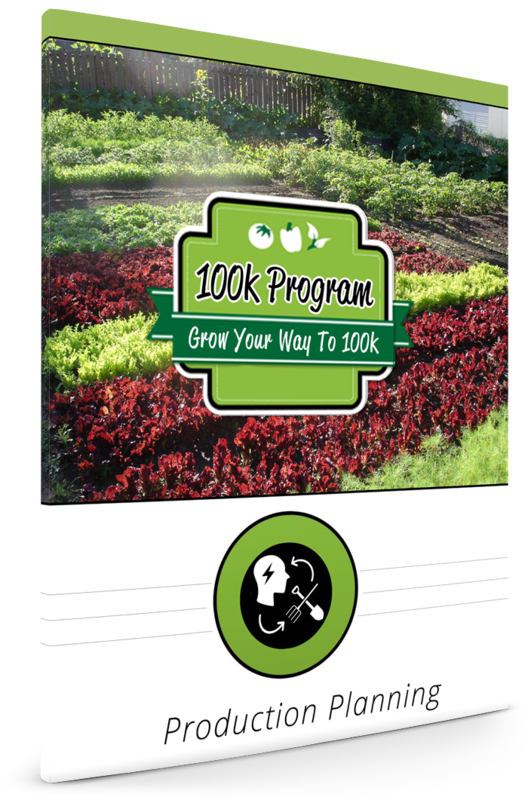 Click below to buy the $100k Program. This comprehensive program gives you everything you need to build a solid business and make 5 figures in your first year. 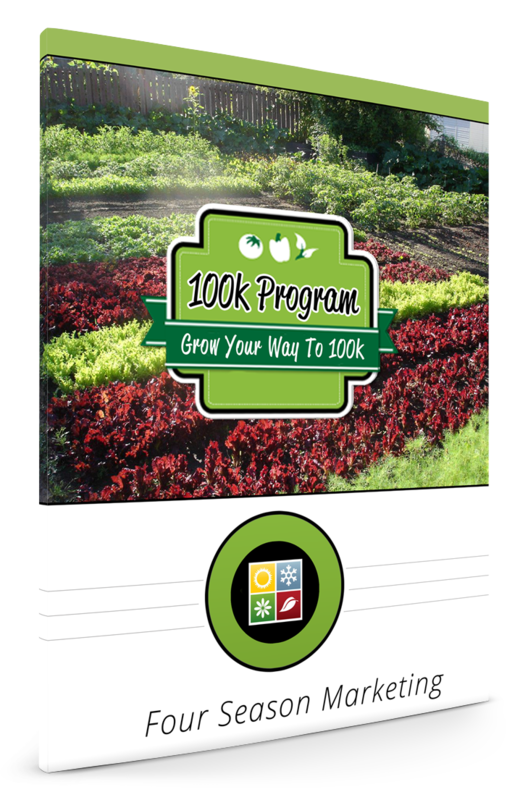 Click the button below to buy our $100k Pro Program. Learn about SPIN farming, marketing, design and more! Guide # 12 – Garlic – earn $23,250 gross income on 6,000 sq. 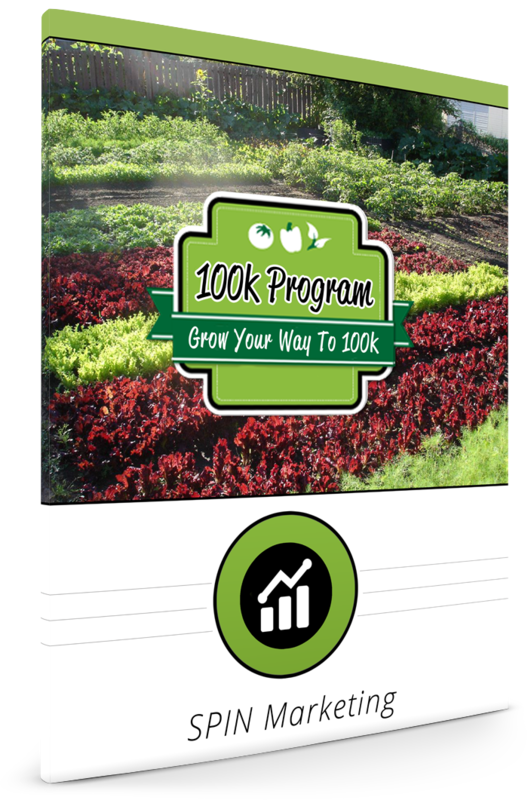 ft.
Guide # 18 – Crop Profiles - 40 individual crop profiles tell you production and revenue benchmarks you should strive for, and translates the conventional planting recommendations used by seed catalogs to SPIN-Farming's standard size beds and segments. "I sold 11 bags of one crop and 6 bags of another crop. I'm so pleased because I am one of those shy people that have a hard time marketing myself. But I actually had fun at market! 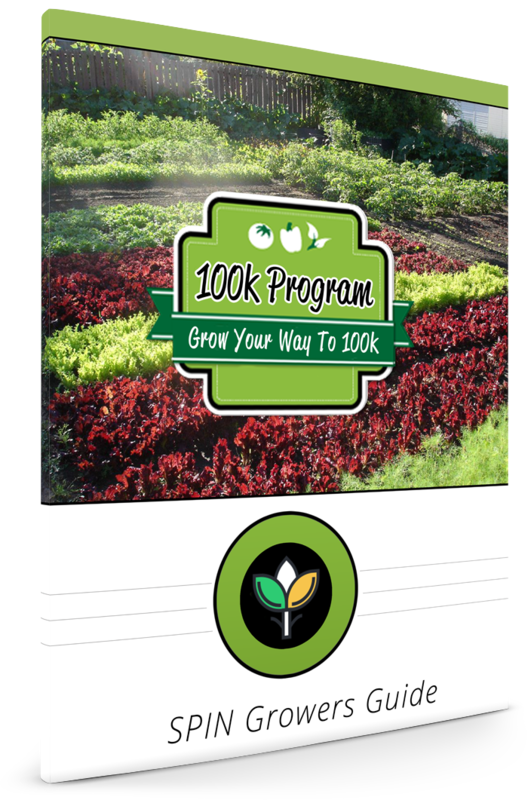 The Seed to Cash program was awesome because it got me out of my comfort zone. I felt comfortable at the market, engaged potential customers easily and found that it wasn't as scary as I thought it would be. I found that it was something that I could easily handle and felt confident about doing it again with more crops." "I received absolutely raving reviews on my Seed to Cash product. Everyone I spoke with who bought a bag thought it was delicious. We will certainly be having repeat customers. It’s a product that sells itself." "NEXT GOAL: Perfect my work flow and record keeping so that I can advance to level 3 and double my income to $2,000 a week."